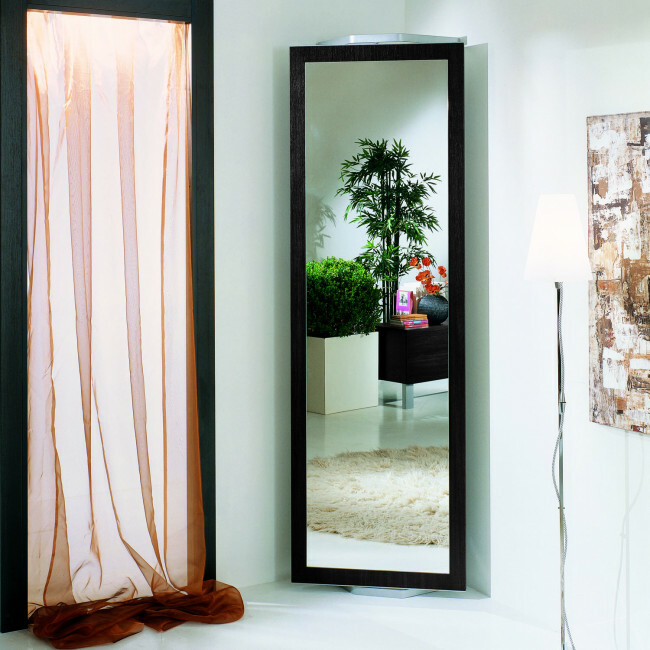 Twister T02 is a hallway corner mirror equipped with 4 coat hooks. 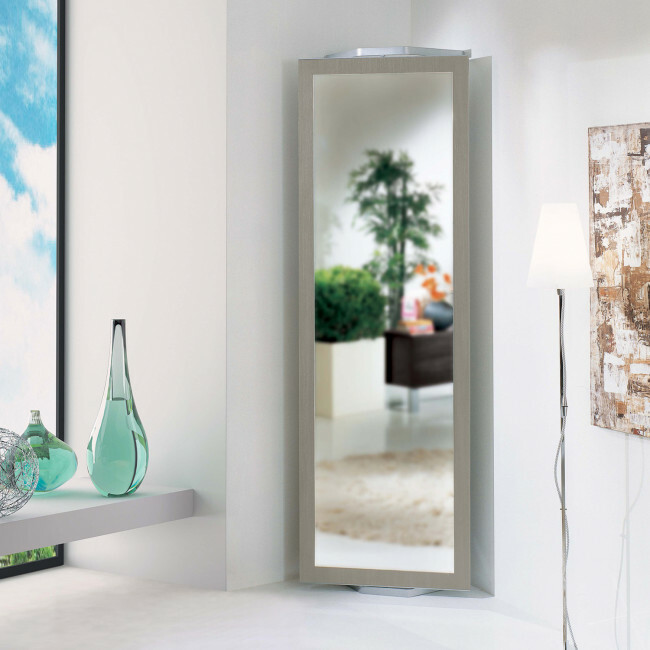 The full length mirror allows you to have a last look before leaving the house, at the same time a large mirror gives the illusion of a bigger room. You just have to spin the mirrored board to discover a set of coat hangers. 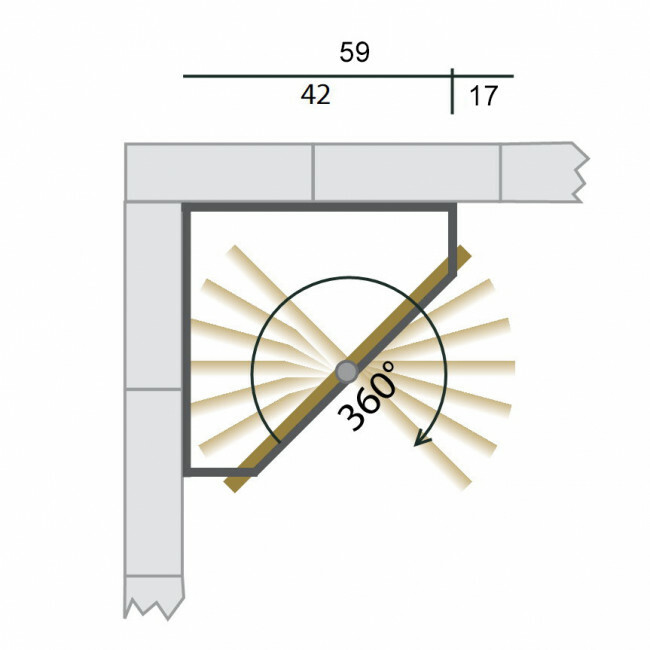 The 360° spinning mechanism is the perfect multipurpose solution to keep any space neat and tidy. Use the product configurator to go through all the available finishes and colours for each single element. 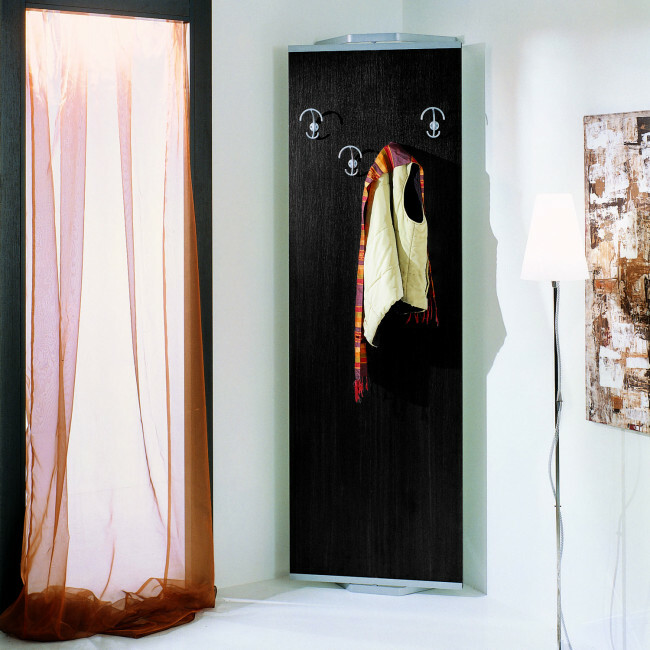 - 1 dark oak melamine coated wood board with a full length rectangular mirror and 4 coat hooks. Board: cm 66 h.210 melamine coated wood. Equipped with a 360° spinning mechanism. Twister T02 belongs to Twister collection which gathers together corner spinning hallway furniture. At our Partner Retailers you will receive professional assistance in creating the perfect furniture solutions for your own space. A wide range of finishes and accessories allows a great deal of customization. Compositions can be equipped with additional small or full length mirrors, coat hooks and drawers and shelves. 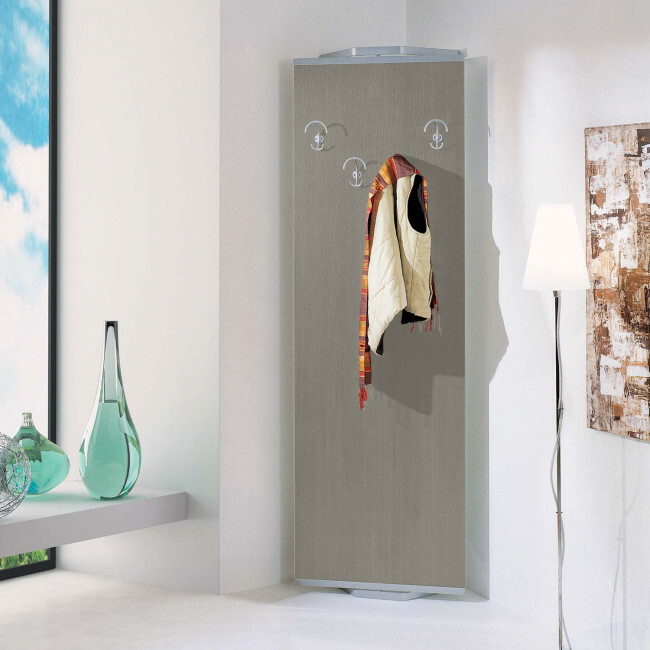 You can find all customization possibilities of this coat storage solution in the configuration menu.